Well, are you ready to relocate to the new destination in Bangalore? You may have found best packers and packers service providers and entered into an agreement with them? You are very happy that you are relocating to a new city and start a new life with your beloved family members. You moving company may have told you about all the charges that you will be required to pay? Did they tell you that you also have to pay the octroi charges? If not, then it is extremely important to discuss this charge with your company so that you do not have to suffer later. Before you discuss with the packers and movers in India, a good knowledge about the octroi charges will certainly help you a lot. What Exactly is an Octroi Charge? In simple terms, an octroi charge is a kind of tax, which you are required to pay on certain goods, when you cross the borders of new state or city. You will be pretty much relieved to know that this particular charge is not levied in all the states of India. However, if you are moving into the states of Gujarat or Maharashtra, then you have to pay the charge. The packers and movers service providers generally include this charge will preparing the agreement. They provide an in house estimate of the entire moving cost you have to pay. How the Octroi Tax is calculated? It is important to note here that the octroi charges do remain fixed. It differs from state to another state. The lists of goods on which the taxes are charged are generally released by the state movements. If from Bangalore, you are planning to shift to another city or state, then it is absolutely important that you check out from the relocation firms whether they charge the tax or not. A vital work, which you should not forget to do here, is to provide the list of items that are to be transported to movers and packers in India as it will help them a lot to provide you a correct relocation cost. It is you who have to bear the octroi charges. When you reach the borders of the state, then a supervisor from the side of the government will check the goods. He or she will then give the total amount of tax to be paid. 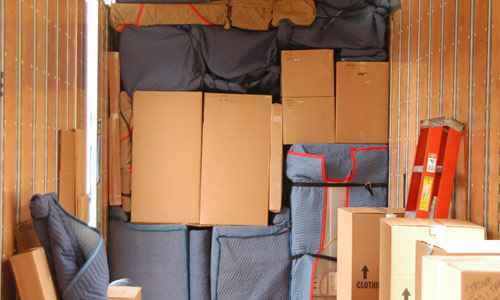 The charges by packers and movers service providers usually pay the tax and you can return the money during the time of paying the final bill to the moving companies. A very important point here is do not forget to compare charges of movers and packers Bangalore before entering into an agreement with them. So, if you do not have the sound knowledge about the octroi charges, then you must ask the packers and movers companies to provide you a correct estimate so that you can have a comfortable relocation experience.